We live ten minutes from the entrance to Peppa Pig World – and so it’s no great shocker that Hero adores that cheeky little pig. Over the years [years!] I’ve also come to love quite a few of the characters, and Daddy Pig’s car ride at Paulton’s Park, too. This week Hero’s been playing with the Peppa Pig Pick Up and Play Playsets – the Playground Playset. 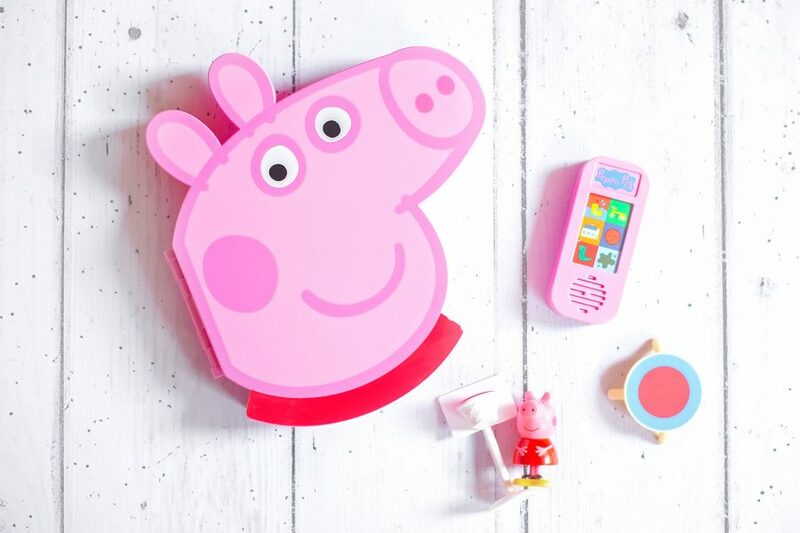 Peppa Pig Pick Up and Play Playsets are designed as foldaway playsets in the shape of Peppa’s face, opening up to reveal a classic scene such as the beach or the playground, plus a figure and accessories are included too for imaginative fun. Open up the playset, play with the figure and accessories, and then listen to the sounds when you press the buttons. Inside our playground set was a little basketball hoop, a trampoline and Peppa. That these can be taken anywhere – they’re light and clip together easily. That everything can be stored inside the toy, nothing goes missing! How spacious the set is – there’s room for more of the boys’ Peppa figures to play along. That the figure of Peppa is the same size as the other figures for sale with other Peppa toys so they’re compatible! The little sound effects box – we never get tired of hearing the ducks quacking, or muddy puddles being jumped up and down in! There had been two little figures inside – poor Peppa is a little lonely! That the sounds had included Peppa instead of George – he’s not in the playset and yet his “Dinosaur, rarrrr!” noise features – and Hero keeps asking why he’s not there, haha. At £14.99, these are sweet little sets and would make lovely birthday presents. I love that I now have somewhere for Hero to store his little Peppa figures altogether, and they can play in Madame Gazelle’s playground to their heart’s content! We were sent this product for the purposes of a review – all of our opinions are our own. You can buy yours here! Pick up and play playsets are fantastic and make taking your favourite toys away with you a lot easier. 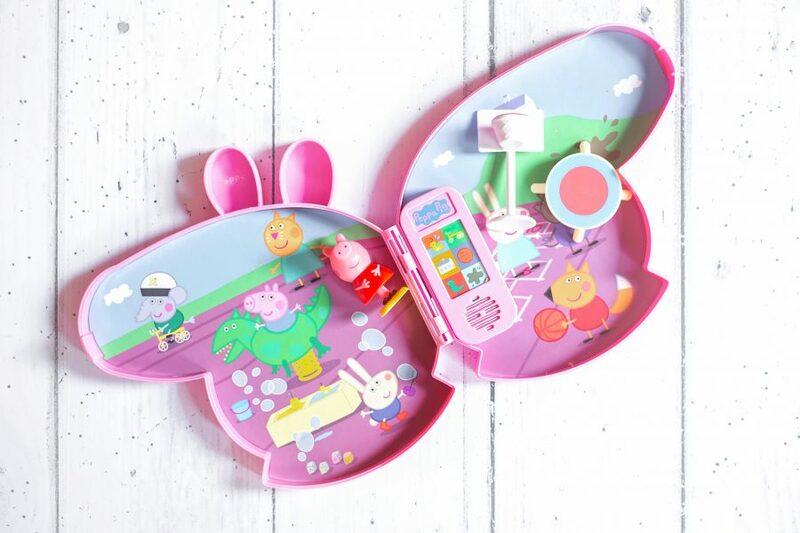 We love our play people ones, so handy to store everything in as well as a few cheeky extras!! We have a couple of these and they are so much fun! I love how handy they are for travel. I love toys which are contained too! My daughter also loves Peppa Pig I’ve not seen these pick up and play sets so will keep a look out for them! This is so cute. My kids love Peppa Pig. This play set would be a hit in our house. Aww this looks so sweet. My Daughter used to love Peppa Pig when she was little. My Niece loves it. She would love this. I love plsysets that come with their own storage. That’s always a big plus for me, especially when small toys and accessories are involved. My toddler would LOVE this! 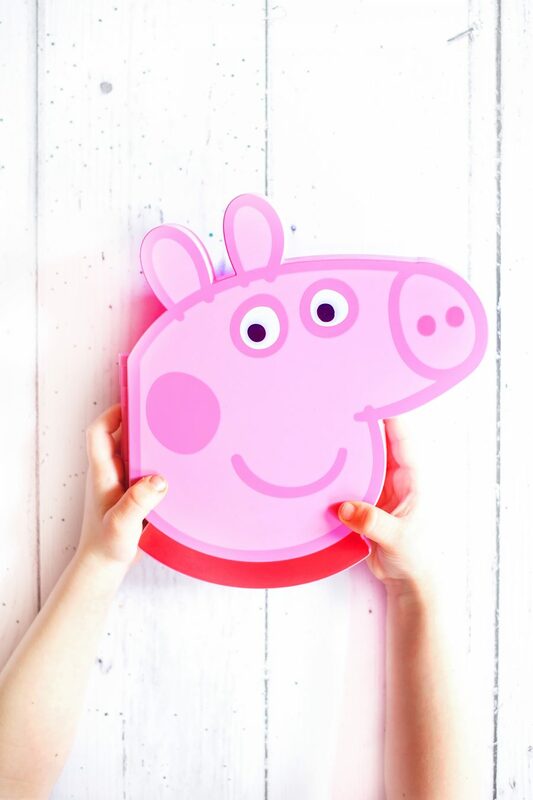 He’s obsessed with Peppa Pig and since we travel so often, we’re always looking for play sets that can be easily packed away and stored without the risk of losing pieces. I’ll look into these for his upcoming birthday for sure! peppa pig is so cute! but a playlist. wow. the future is amazing, its such a shame that i’ve only just come across this now. a couple years back, my nephew was obsessed with peppa and i know he wouldve loved this. it seems so fun.